Directing the pic is G.J. Echternkamp (‘Hard Candy‘) and has a lineup of some super talented actors that will make this a fantastic project. The humor and mayhem will be in place just as in the original and it’s already begun filming in February in Peru. Malcolm McDowell steps up to portray the Chairman and Manu Bennett will star as Frankenstein and Marci Miller as Annie Sullivan. We will see automotive gladiators in their natural environment, great for movie watchers, not so great for the pedestrians who the drivers only see as points. The project will be on Blu-ray, DVD and Digital HD at some point this year. ‘Death Race 2000‘ led the race that picked up one hell of a cult following since it’s debut in 1975. Maybe it was David Carradine as Frankenstein, maybe it’s just because it was an epic flick, or it was just the perfect combination that Echternkamp and Corman are working hard to recreate. 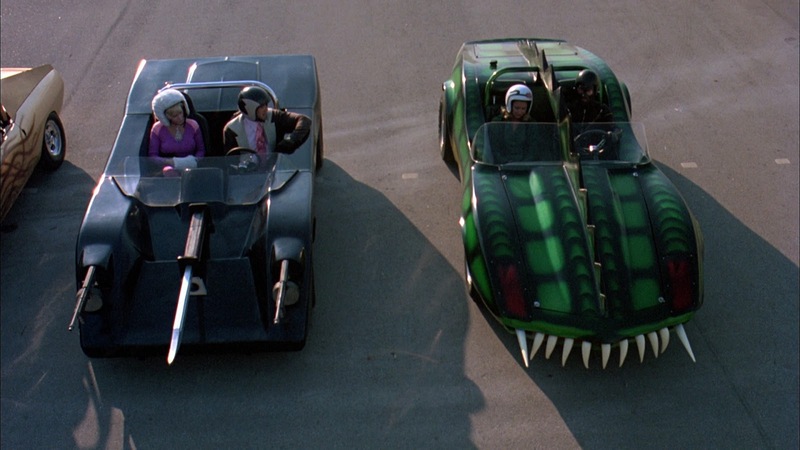 “This is an amazing opportunity for me and millions of Death Race 2000 fans to experience the intensity, thrills and dark humor of the original, fueled by a terrific young cast, spectacular vehicles and side-splitting action, literally” said Corman. This entry was posted on Monday, April 11th, 2016 at 3:07 pm	and is filed under Film, News. You can follow any responses to this entry through the RSS 2.0 feed. You can skip to the end and leave a response. Pinging is currently not allowed. « ‘Game of Thrones’ Season 6 Receives A New Trailer!! !